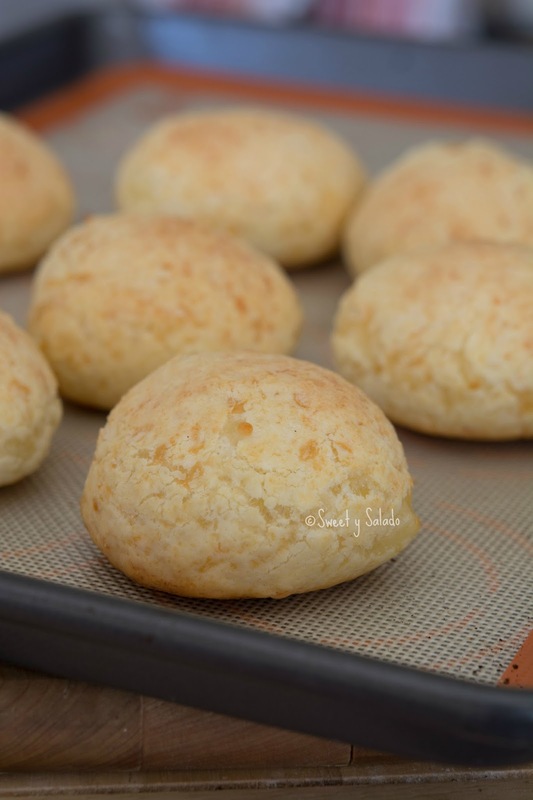 This is the second version of pandebonos that I have on the blog. And why two versions? Because several people who live outside of Colombia have told me that no matter how much they look for queso costeño, queso fresco or even feta cheese, they simply can’t find them. Another reason is because some times the pandebonos don’t end up with that chewy texture that they’re so famous for. So, that’s why I started working on a way to make them with a more popular cheese and also for a way to give them a softer, more chewy texture. I made a few changes to the original recipe that I posted a few years ago and the result was amazing. So much so, that I have made them at least three times with this updated recipe and they always come out spectacular. 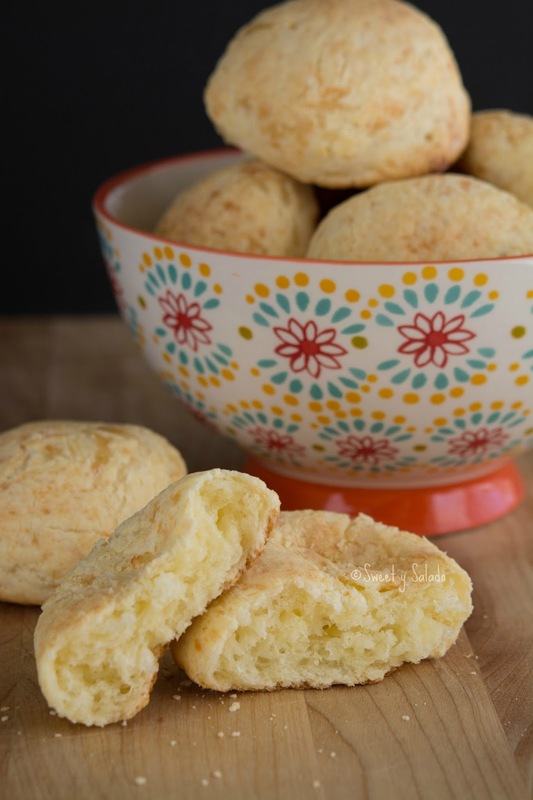 The cassava or tapioca starch is always essential for this recipe, so you will need it. I added cornstarch to stabilize the dough and to make it smoother. I completely changed the cheese for mozzarella, because again, it’s a type of cheese that’s easier to find. And not only because of that reason, but also because it tends to melt and stretch with heat, giving the pandebonos a perfect texture. I did keep the salt because the cheese is not salty, so we have to add it. I also kept the sugar to give these delicious pandebonos that special sweet contrast. 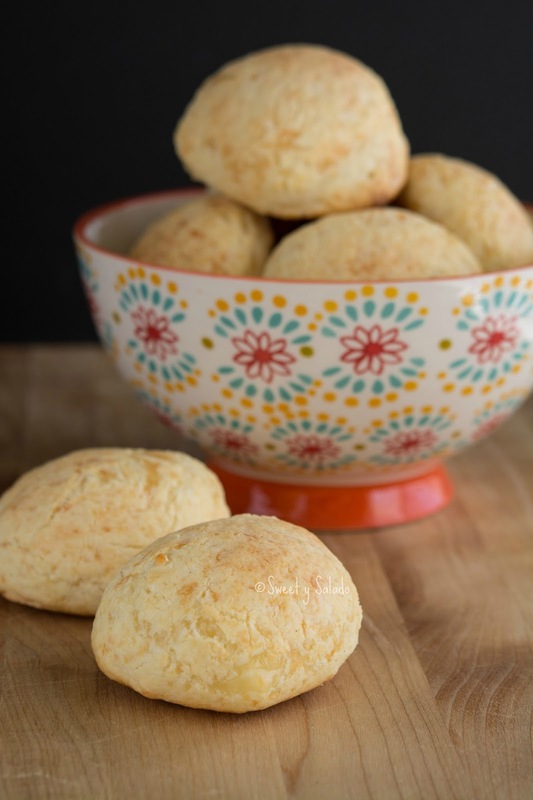 Without a doubt and without exaggerating, these are the most delicious pandebonos I have ever had and the best I have ever made at home. That’s why I had to post this new recipe so you can be just as happy with results as I am. Pre-heat oven to 475ºF (246ºC). Mix the cassava starch, cornstarch, baking powder, salt and white sugar in a large bowl. Add the mozzarella cheese, butter and egg and start mixing with your hands. 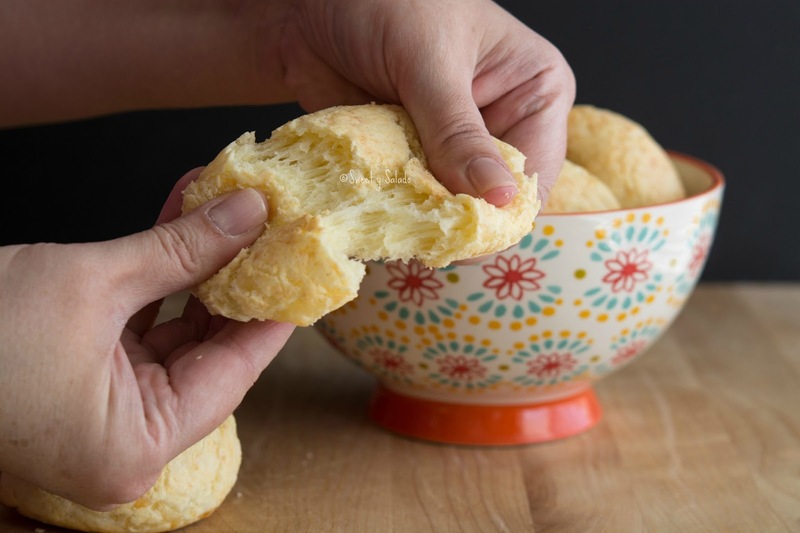 If you notice that the dough is too dry, you can slowly add milk as needed until you get a soft, smooth dough. Form small balls (about 1½ inches or 4 cm in diameter) with the dough and place them about 2 inches (5 cm) apart on a baking sheet covered with parchment paper or a silicone mat. Bake the pandebonos for about 10-12 minutes or until golden brown. Hi there:) I made pan de bonos following this recipe. It came out good except the breabr became flat after came out of the oven instead of round breads(as seen in the YouTube video). I measured all the ingredients perfectly as given buy don't know why it happened? Can anyone help? Hello! That has happened to me whenever I make them too big, they just tend to expand easier in the high heat of the oven. Try to make them smaller and rounder, some times using a small cupcake baking pan helps to keep their shape.